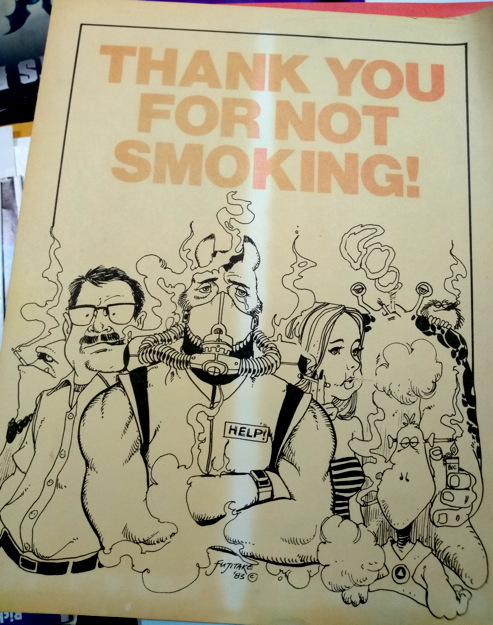 I never did buy that Swamp Thang parody comic…wonder who worked on that? …a promo piece from the early to mid-1980s featuring Dalgoda , a fine science fiction comic by Jan Strnad and Dennis Fujitake that deserves to be collected (along with the stories from the Flesh and Bones mini, and a back-up in that Doomsday +1 reprint series, and probably something else I’m forgetting… Anything Goes , maybe?) into a fancypants hardcover. Hey, if they could do it with Puma Blues and Border Worlds , right? 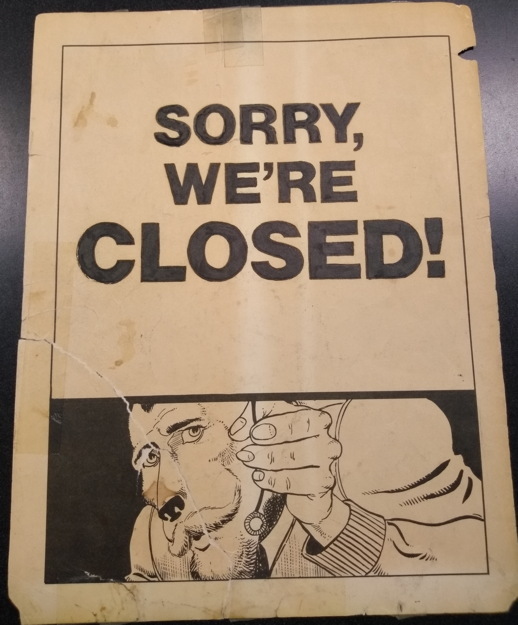 Anyway, this sign dates from those long ago pre-Mike in Comics Retail days, but I seem to recall seeing it on display in the shop at the time. I have yet to find the matching “OPEN” sign (and yes, pal Tom, I checked the other side! )…as I recall, this part was taped into the window in such a way that the “OPEN” sign could slide in front of it when necessary. I suspect the “OPEN” half eventally disintegrated from constant handling, given the state of the “CLOSED” portion here. 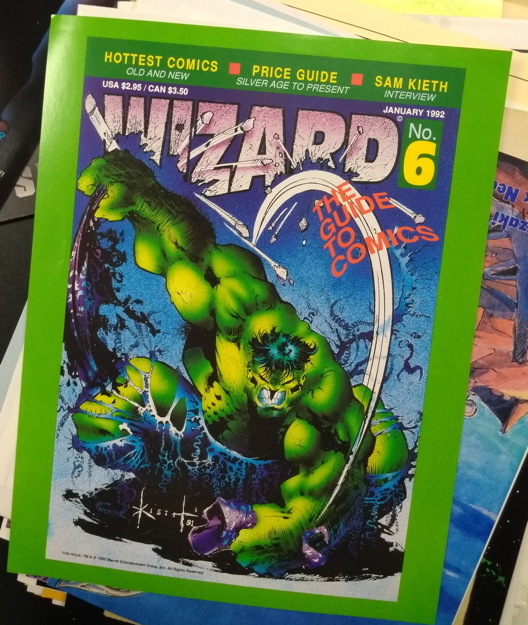 Next up, a couple of promos for Wizard , that price guide and news magazine that somehow I didn’t think I’d miss once it was gone, but it did go a long way to getting even casual fans excited about comics. 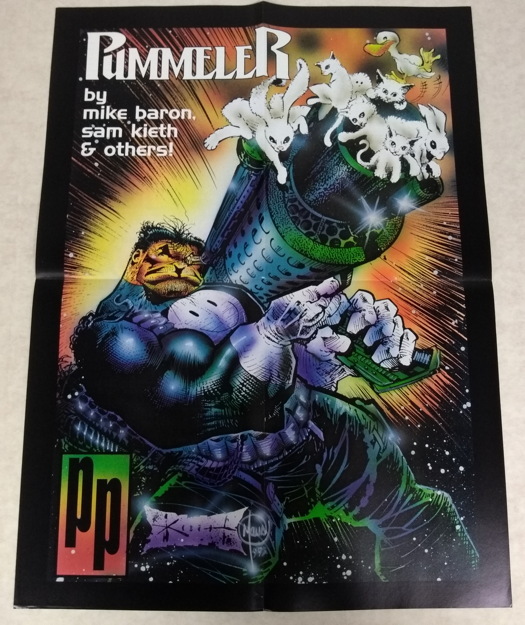 In a very facile, surface-level way, usaally, sure, but I don’t think any retailers nowadays would really turn down anything getting folks hyped about the weekly funnybooks. 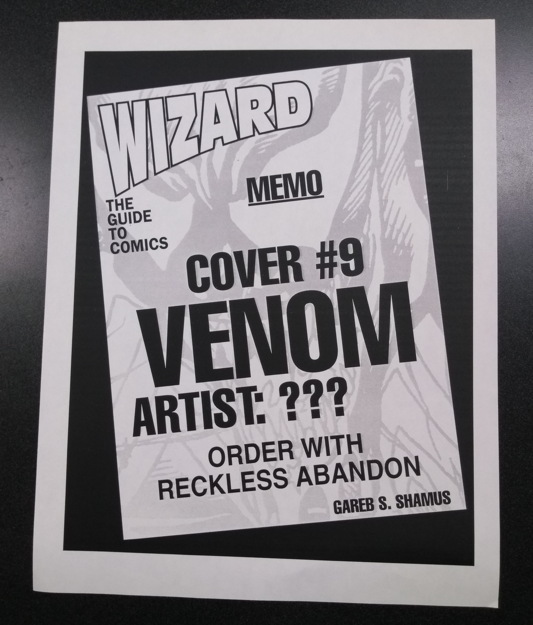 “Order with reckless abandon,” indeed. I’m pretty sure that was printed on the covers of the distributor order forms at the time. I remember a spoof book called Loco vs. Pulverine, might have been a Parody Press book as well.